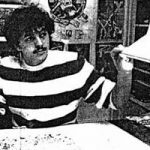 April 26, 1985 Kevin E.
I work in the Greenwich Village Section of New York City, and there are four comic shops within easy walking distance of my place of employment. However, only one of these Stores has copies of #1, and t hey were from the second printing. 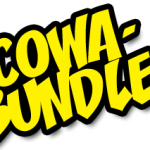 Limited distribution can be considered a justifiable reason for selling a back issue comic at a higher price, but for the limited distribution to have a noticeable effect the demand should be there as well. For a new publication for a new company, containing work by two unknowns, to skyrocket in value so fast and to as high a level as it apparently has, is not easy for me to believe. Even the nearly famous Cerebus the Aardvark #1, a comic so hot it was counterfeited, had to wait about five years before the price went up to its current level. I find it interesting that the second printing of #1 is going for $10-$15, and that a third printing is planned. It is my opinion that the existence of a third printing would kill any demand for second printing copies. As of today (March 27, 1985), I have yet to see any copies from the third printing for sale in any store; because of its advertised shipping date of March 20, I will write under the assumption that they are readily available. Being a collector, I can understand spending $75 for the first printing; after all, a first printing is a first printing. So, let’s Say Gary Collector walks into the shop and buys a Copy of Teenage Mutant Ninja Turtles #1, first printing, price $75. Now he has his copy, but do you think he’s going to read it? With its Ronin-esque cover (much of the front and back covers are solid black, meaning whenever you handle the book your fingerprints will show), it gets bagged immediately and filed away with the multiple copies of Shatter Special #1. He wants a reading copy, but he’s reluctant to spend another $75. When he goes to the shop he sees two editions available: the second printing, priced at a mere $15, and the third printing, cover price an even merer $1.50. Which copy do you think he`s going to buy? With the only difference being “Second printing June 1984” versus “Third Printing (I assume March 1985)” on the inside front cover, I’d think only a fool (or Someone who thinks TMNT creators Kevin Eastman and Peter Laird are God) would pay additional money for the second printing. Now that I’ve said my piece on this topic, I ought to mention that I’m not trying to put down the book, at least not as a work of creative art. 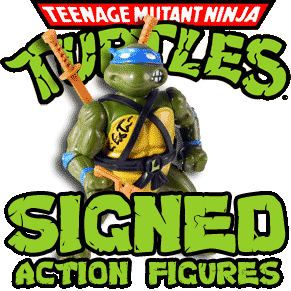 I have no reason to do so, but a Teenage Mutant Ninja Turtles priced at $75 would come under much greater scrutiny than a Teenage Mutant Ninja Turtles #1 priced at $1.50. My intent in writing this letter was not to cast any aspersions toward the book or its creators; in fact, I’d like to know how Eastman and Laird feel about their book selling for so much money in such a short amount of time. Rather, my intent was to express my puzzlement that the reported prices and demand for the book seem strange in comparison to the fact that apart from COG and CC I’ve never heard of the thing. We’re glad you wrote, Gary. If you’re skeptical, there probably are others who are and we’d like to air this one right away. 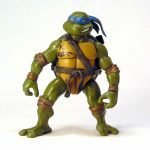 You may not have seen Teenage Mutant Ninja Turtles mentioned anywhere other than in CBG and CC, but it certainly was mentioned elsewhere – in the pages of many major metropolitan newspapers. 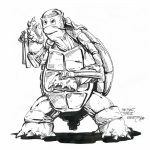 As reported in CBG at the time and later, Kevin Eastman and Peter Laird did an outstanding job of promoting Turtles. They sent copies to area newspapers, radio stations, and TV stations. They also sent copies to the local offices of the major wire services. At least one of the wire services – either UPI or AP, or both – wrote a story about it and the story was carried in newspapers all over the United States, maybe all over the world. Several news paper clippings were sent to CBG from widely separate areas of the United States. We saw the clipping in our subscription copy of the Milwaukee Journal as well. However, Kevin and Peter had only enough money to print about 3000 copies of Teenage Mutant Ninja Turtles #1. But the publicity generated by the wire service story – which ran in newspapers with a combined circulation in the millions, outstripping even CBG – brought them orders for more than that many copies, orders which they could not fill. quickly, resulting in yet a third printing. 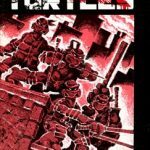 With all those printings, we’d guess there are still fewer than 10,000 copies of Teenage Mutant Ninja Turtles #1 in existence. It’s a genuinely hard-to-find item and the interest is strong, primarily because of the initial publicity and word-of-mouth. It was favorably reviewed in CBG, but no more favorably or strongly than dozens of others with similar or smaller print runs have been. Dealers, translating demand into higher prices, have inflated the cost of this extremely enjoyable and very well-done parody of Ronin and Daredevil into the $75 range. The report you mention from Comics Collectors is by Alex Malloy, who compiles the price guide for CC. He merely reported the asking price as a fact, he did nothing to create it. 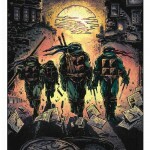 Do we think that Teenage Mutant Ninja Turtles #1 – any printing of it – is worth $75? We most emphatically do not. However, it certainly is worth the $1.50 cover price.